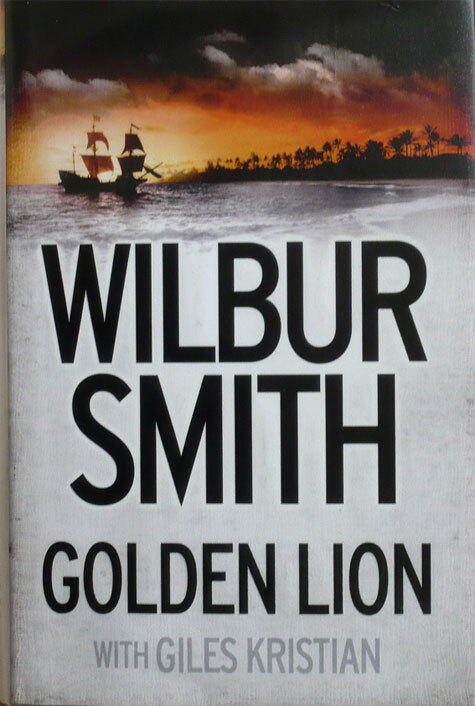 I was at my local lending library looking for a book to read when I spotted a Wilbur Smith hardback on the shelf. Wilbur Smith had written River God, a book I literally couldn’t put down it was so compelling. He’d also written some other novels that I found quite easy to put down (literally and metaphorically) so it’s a bit of a lottery when he publishes something new. I plucked the tome from the shelf and looked at the cover, it depicted the usual themes of his books—historical Africa or Egypt and bloody adventure—but something odd caught my eye; the author’s name was not alone, in smaller writing it said ‘with Giles Kristian’. What could this possibly mean? I took it to the desk and quizzed the immaculately dressed, white-haired, bespectacled lady that was the librarian. Without hesitation she explained the mechanics; Wilbur Smith comes up with the idea and Giles Kristian then does the grunt work of writing the book (she actually used the phrase ‘grunt work’ which amused me more than it should have done). “So it’s kinda ghost written?” I said. “So it’s like Damien Hirst coming up with an idea of say, a flayed baby in a bath of formaldehyde or something and then saying to one of his hundreds of assistants ‘here, you make this into reality”. I was astonished. Not because of the discovery of ghostwriters or artists’ assistants—I already knew of their existence—but because of what it presaged. Ghostwriters are usually employed to supplement the missing talent of the celebrity, namely, the ability to write. But here, a perfectly capable writer is employing another perfectly capable writer to do the heavy lifting. Wilbur Smith is so prolific and so popular that he has become a brand that is easily recognised and easily emulated. Presumably, the faithful readers of his books aren’t too bothered about this development so long as their metaphorical Corn Flakes continue to taste exactly how they liked them in the past no matter who is the new owner manufacturing them. Now lets jump into the future a hundred years. Wilbur Smith is dead and so is Giles Kristian but new Wilbur Smith books continue to appear every year, regular as clockwork. You might think that dozens of authors are employed to maintain this booming franchise but you’d be wrong. A sophisticated algorithm writes all the books. The preferred language, styling, plot twists and characters that appear in all the previous Wilbur Smith books are analysed by the algorithm and a clever refinement in the programming allows it to devise new story lines with similar characters but with enough differentiation about them to sufficiently fool a human brain into thinking ‘this is novel’ (pun intended). This is the future: creativity done by a machine. I’m not sure whether I should be excited or depressed. Can I be both? Footnote: A year or so ago I did a caricaturing gig in Leicestershire at a private birthday party. The house turned out to be a mansion and my small talk with the guests during my sketching revealed that it was the party of a successful author. Nearly everyone at the party was a published author or creative artist of some kind. When I came to draw the birthday boy himself he told me a little about his glittering past and that he had recently been working with Wilbur Smith. You are currently browsing the SatNav for the Soul® blog archives for June, 2016.